The distinguished members of the Turning Point Suffragist Memorial’s newly appointed Honorary Board. Brigadier General Clara L. Adams-Ender, US Army, Retired, is Executive Director of Caring about People with Enthusiasm (CAPE) Legacy Fund, Inc., a nonprofit foundation committed to helping students in need complete their undergraduate education. General Adams-Ender earned a bachelor’s degree in nursing from North Carolina Agricultural and Technical State University, a M.S. in nursing from the University of Minnesota, and a master’s of military art and science degree from the Command and General Staff College at Fort Leavenworth, Kansas; the first woman to do so. She joined the Army Nurse Corps in 1959 and rose to become vice-president for nursing at Walter Reed Army Medical Center. During her military career, she became the first female in the Army to be awarded the Expert Field Medical Badge and the first Army nurse to reach the rank of general officer. An advocate for civil rights, as a college student, General Adams-Ender joined her classmates at the Woolworth’s lunch counter sit-in in Greensboro, NC, to protest the business’s white-only service policy. Among her many accolades, General Adams-Ender was recognized by Working Woman magazine as one of 350 women who changed the world, 1976−1996. She has received the NAACP’s Roy Wilkins Meritorious Service Award, the Gertrude E. Rush Award for Leadership, and in 2013 was named a Living Legend by the American Academy of Nursing. She has received 14 honorary doctorate degrees in law, public service, humane letters and science, and is a lifetime member of the Council on Foreign Relations and a past member of the Board of Medicine for the Commonwealth of Virginia. 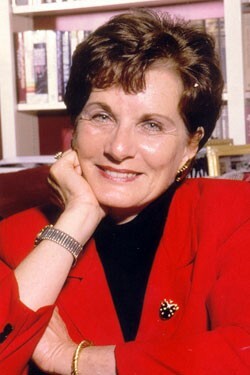 Susan Allen is the former First Lady of Virginia and married to former Governor (1994-1998) and U.S. Senator (2000-2006) George Allen (R-VA). As First Lady, Susan used her experience in tourism to promote Virginia as a top travel destination, and established the First Lady’s Breast Cancer Awareness initiative. 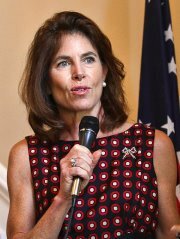 She has continued her advocacy for women’s health and wellness following her time in the Governor’s Mansion, and has served as honorary chair of the American Cancer Society, Relay for Life, Komen Race for the Cure, and other related charities. From 2010 to 2014, she served as an appointed member of the Board of Visitors of James Madison University in Harrisonburg, Virginia. She is a graduate of the University of South Carolina. Jeannie Baliles is the former First Lady of Virginia and wife of Governor Gerald L. Baliles (1986-1990), and Chair of the Virginia Literacy Foundation, a nonprofit foundation donating $200,000 annually to local literacy organizations committed to fighting adult illiteracy. Born in North Carolina and raised near Baltimore, Jeannie earned her undergraduate and graduate degree in history from Washington College in Chestertown, Maryland, and later an M.A.T. in history from Wesleyan University. Jeannie has served as trustee of the Virginia Environmental Endowment and the Community Foundation of Central Virginia; and as a board member of the Nature Conservancy, YMCA, and the Historic Richmond Foundation. She remains active in Democratic politics. 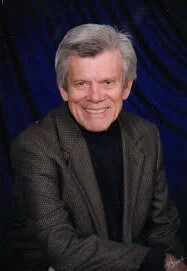 Dr. Sidney R. Bland, Ph.D., is Professor Emeritus of American History at James Madison University in Harrisonburg, Virginia. During his 45-year career at James Madison, Sidney’s research and teaching focused largely on American women’s history. An acquaintance of the late suffrage leader Alice Paul, Sidney’s doctoral dissertation on the Militant Suffrage Techniques of the National Women’s Party, and a later article on the 1913 “Great Suffrage Parade,” were supported by his personal interviews of Paul. 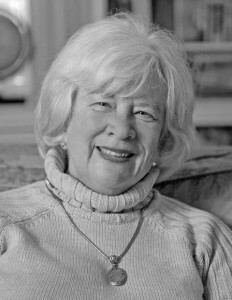 In addition, his research on suffrage pioneer Lucy Burns is considered seminal, and his book, Preserving Charleston’s Past, Shaping It’s Future: The Life and Times of Susan Pringle Frost (1994), was chosen as a finalist for the award of Best Book of the Year in South Carolina History. Sidney earned a B.A. from Furman University in Greenville, South Carolina; an M.A. from the University of Maryland; and a Ph.D. from The George Washington University in Washington, DC. At James Madison, he served as a Madison Scholar, the University’s highest academic honor, and received a Distinguished Service Award and the Edna T. Schaeffer Humanist Award. He was the first male admitted to membership in the Virginia Division of the American Association of University Women (AAUW), and is currently a member of the Board of Directors of The Edith and Theodore Roosevelt Pine Knot Foundation. Kristina Bouweiri is President/CEO of Reston Limousine, a $15 million chauffeured transportation provider, operating a fleet of buses, limousines and cars in the Washington metro area. In 2008, Reston Limousine was recognized by Washington Business Journal among the 50 Fastest Growing Companies in the nation. Kristina is an international speaker on business strategy, and has won many awards, including recognition as DC Chamber Business Leader of the Year (2012), Top 50 Influential Women of Virginia (2010), Greater Washington Women’s Network Woman of the Year (2008), and several awards from SmartCEO. In addition, Kristina actively encourages and supports the success of other professional women, and is founder of Sterling Women, a monthly networking luncheon, as well as the annual Virginia Women’s Business Conference. Rebecca Cooper, related to suffragist Elizabeth Cady Stanton’s husband, is a reporter with ABC7/WJLA-TV News in Washington and anchor of Washington Business Report. She previously worked as a producer for 20/20, Good Morning America and World News Tonight, and as a reporter at ABC World News Now, NewsOne and ABC radio. She began her career in Washington in 1988 as a legislative assistant to Senator David Boren (D-OK), and later covered Congress and the White House as a reporter at CNN and ABC News. More recently, she served as Chief of Staff to Bill Richardson in his post as U.S. Ambassador to the United Nations. Rebecca graduated with honors from Duke University, and also attended Universite Libre de Bruxelles in Belgium and American University in Washington, DC. Rebecca has received many noteworthy awards for her work in journalism, including the Cable Ace, DuPont Murrow, Emmy, and Peabody awards. She currently serves on the Greater Washington Area Advisory Board of Childhelp, a nonprofit organization dedicated to preventing and providing treatment for child abuse. An Oklahoma City native, Rebecca also serves on the board for the University of Oklahoma’s College of International Studies. 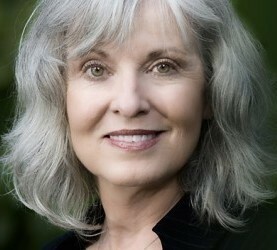 Jan Fox is a four-time Emmy winner, journalist, public speaker, and former teacher. Before beginning her career in journalism, Jan earned a Master’s Degree in Humanistic Studies from Lesley University in Cambridge, Massachusetts, where she taught graduate education courses and directed the University’s Outreach Program. During her 30 year career in journalism, Jan hosted an award-winning talk show in Boston, and worked as a local network news anchor in Washington and Portland, Maine. As President of Fox Talks LLC, Jan now teaches others the skills of public speaking and effective communication. As a journalist, Jan interviewed countless celebrities and U.S. Presidents, and received many awards. In addition, she has been recognized nationally for her commitment and dedication to various social causes, including receiving the American Cancer Society Vision Award, the Knock Out Abuse Against Women Community Service Award, the Washington Regional Alcohol Program Media Award, and the Boys and Girls Club of Greater Washington Friend of the Club Award. 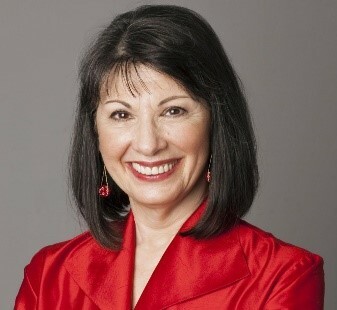 Gloria Feldt is a New York Times best-selling author, speaker, advocate and feminist leader. She is co-founder and president of Take The Lead (www. taketheleadwomen.com), a nonprofit organization preparing and encouraging women to assume an equal share of leadership positions in all sectors by 2025; and author of No Excuses: 9 Ways Women Can Change How We Think About Power. Gloria earned her B.A. from the University of Texas of the Permian Basin. From 1996 to 2005, she served as President/CEO of Planned Parenthood Federation of America. Gloria has been widely recognized, quoted and published in major media sources, including the New York Times, Washington Post, USA Today,Politico, Salon, The Daily Beast, and Huffington Post, and has appeared onCNN, MSNBC, the Today Show, Good Morning America, and The Daily Show. She has been named by Vanity Fair as one of “America’s Top 200 Women Leaders, Legends, and Trailblazers”, Glamour’s “Woman of the Year”, and Women’s eNews “21 Leaders for the 21st Century.” She recently served on the board of directors of the Women’s Media Center and Emerge America, and as co-chair of US Women Connect. Gloria currently teaches a course titled “Women, Power, and Leadership” at Arizona State University. She lives with her husband Alex Barbanell in New York City and Scottsdale, Arizona. Katherine K. Hanley graduated from the University of Missouri with a B.A. in French Civilization and a B.S. in Secondary Education, and from Harvard University with an M.A. in Teaching. She is a resident of Reston, Virginia, and currently serves on the Board of Trustees of the INOVA Health System and the board of directors of several community organizations, including the Fairfax-Falls Church Community Services Board, the Arts Council of Fairfax County, HomeAid Northern Virginia, and Cornerstones, a nonprofit organization that supports and advocates on behalf of those in need of food, affordable housing, childcare and other services. She is also a member of the Fairfax County Electoral Board. Coline Jenkins is a legacy of the women’s suffrage movement: the great-great granddaughter of suffrage pioneer, Elizabeth Cady Stanton; great granddaughter of Harriot Stanton Blatch; and granddaughter of Nora Stanton Blatch Deforest Barney. Coline is a legislator, author and television producer, who works endlessly to inspire awareness and pride in women’s history. She is co-founder and president of the Elizabeth Cady Stanton Trust, a collection of 3,000 artifacts of women’s suffrage memorabilia loaned to museums, libraries, and film, magazine and television programs. 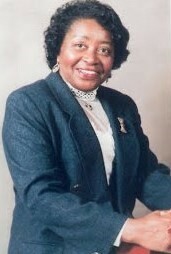 For 25 years, Coline served as a municipal legislator in Greenwich, Connecticut. She co-authored a book entitled 33 Things Every Girl Should Know about Women’s History, and produced the television documentary, An American Revolution: Women Take Their Place. In 2009, she testified before the U.S. Senate regarding federal legislation to create a national trail of historic sites significant to women’s history and the suffrage movement. She is currently vice president of the Elizabeth Cady Stanton and Susan B. Anthony Statue Fund, an organization working to install the first statues of important historical women in New York City’s Central Park. 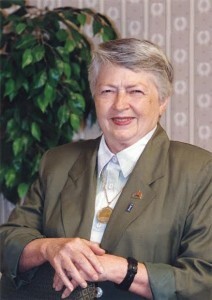 Edith P. Mayo is Curator Emeritus in Political History at the Smithsonian’s National Museum of American History, where she worked for over 40 years as a curator and historian. In this position, she has designed and managed major exhibitions in political history, women’s history and voting rights. 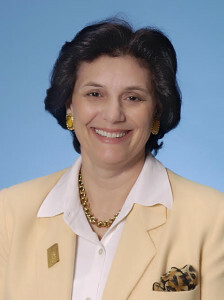 She is author of numerous publications and academic articles, including her books First Ladies: Political Role and Public Image(1995), The Smithsonian’s Book of First Ladies: Their Lives, Times, and Issues (1996), and Presidential Families (2006). She has spoken to countless women’s history classes, women’s clubs and organizations, and state historical societies across the country, and has taught a class in Material Culture at The George Washington University in Washington, DC. Edith earned a degree in American Studies from The George Washington University. 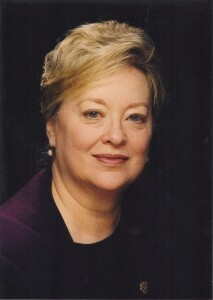 She was elected several times to serve on the National Council of the American Studies Association, and currently serves as a Distinguished Lecturer for the Organization of American Historians. Anne Sterling is President of the League of Women Voters of Virginia and Chairwoman of Transparency Virginia, a coalition dedicated to ensuring transparency in the state legislative process. Anne is a graduate of New York University and previously served as President of the Virginia Women’s Network, President of the Trustees Division of the American Library Association, and Board Member of the Maryland Association of Boards of Education. Dr. Sandra Treadway, Ph.D., is Librarian of Virginia, a position she has held since July 2007. The Library of Virginia, founded in 1823, is located in Richmond, Virginia, and serves as the state’s library agency and archives, housing the most comprehensive collection of materials on state history, culture and government. Previously, Sandra served as Deputy Director of the Library (1995-2007) and headed the Library’s historical publications division (1990-1995). 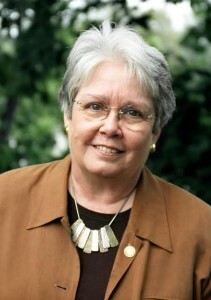 Sandra taught history at Virginia Polytechnic Institute and State University (Virginia Tech) in Blacksburg, Virginia, for two years before joining the Library. Sandra earned a bachelor’s degree from Manhattanville College in Purchase, New York; a master’s degree in Library and Information Science from the University of Tennessee; and a doctoral degree in American History from the University of Virginia. 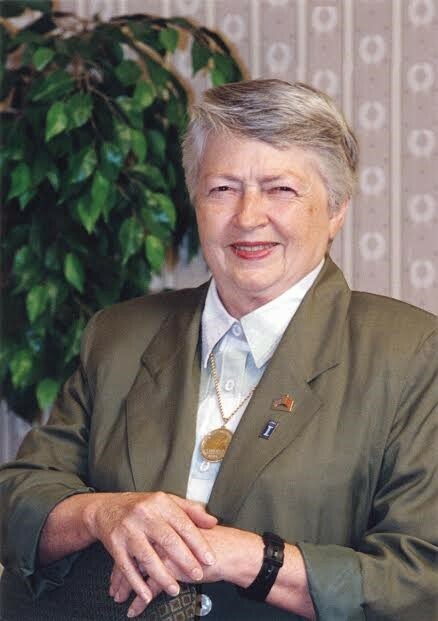 She is the author of a book, titled Women of Mark: A History of the Women’s Club of Richmond, Virginia, 1894-1994 (1995), and co-editor of a two-volume book set, titled Virginia Women: Their Lives and Times. She serves on several state advisory groups and commissions, including the Virginia Freedom of Information Advisory Council and the Virginia Women’s Monument Commission. Brigadier General Wilma L. Vaught, USAF, Retired, is President of the Board of Directors of the Women in Military Service for America Memorial Foundation, Inc. (www.womensmemorial.org), a non-profit foundation that built and operates the Women’s Memorial, honoring the nearly three million women who have served the United States in uniform since the American Revolution. Originally from Illinois, General Vaught earned a B.S. from the University of Illinois, Champaign-Urbana, and an MBA from the University of Alabama in Tuscaloosa. During a military career spanning nearly three decades, General Vaught served in both Vietnam and Spain, becoming one of the nation’s most highly decorated female service members. In 1985, General Vaught became the first woman to command a unit receiving the Joint Meritorious Unit Award, the nation’s highest peacetime unit award. Since her retirement from active service, General Vaught has served on several boards and associations, and received many accolades, including the Women’s International Center Living Legacy Patriot Award (1998), the National Organization of Women Intrepid Award (2006), and the U.S. Air Force Woman of Distinction Merit Award (2007), among others. An advocate for veterans’ care, in 1998, she was named Veteran Advocate of the Year by the National Association of State Directors of Veterans Affairs. In 2000, she was inducted into the National Women’s Hall of Fame, and in 2003, was recognized by the National Women’s History Project as a Women’s History Month Honoree. In 2013, the Obama Administration recognized General Vaught as a Champion of Change Honoree. Su Webb has spent more than 40 years as an advocate in the overlapping fields of parks, recreation, conservation, and cultural and historic resources. A past Turning Point Suffragist Memorial board member, she also serves on the boards of the Piedmont Environmental Council. Loudoun Preservation Society, the War of 1812 Bicentennial Committee (Loudoun County, VA), and the Aldie Heritage Association, and is President of the Loudoun Heritage Farm Museum. Su is also past chairman of the Northern Virginia Regional Park Authority and the Loudoun Parks and Recreation Board. 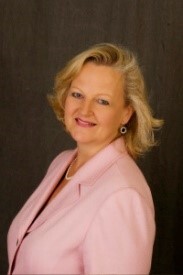 A third-generation Rotarian, Sue is the Rotary District 7610 (Fredericksburg, VA) New Generations Chair.